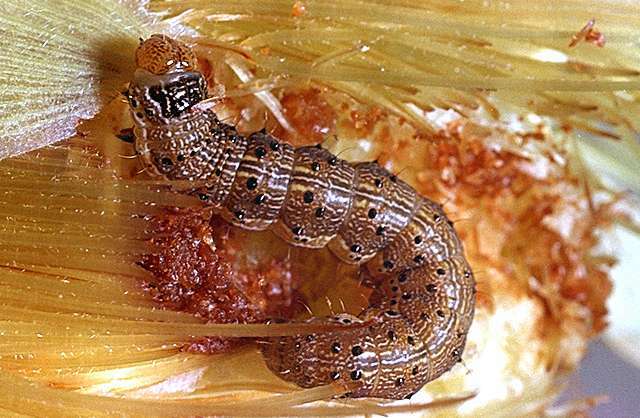 Pest description and crop damage Eggs are laid on corn silks. Young caterpillars feed on silks and move into ear tips. 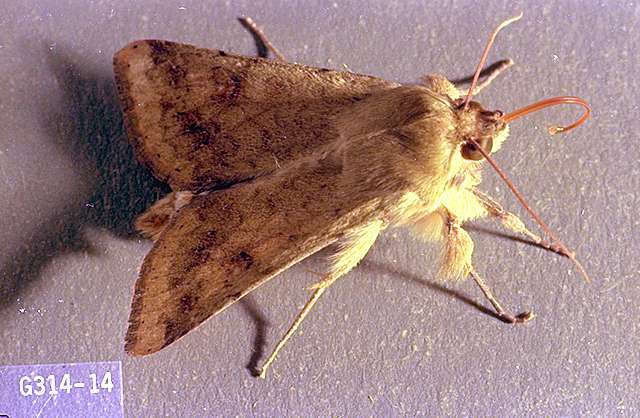 Large older caterpillars are large green, brownish, or reddish worms that feed on silk and kernels of the ear. Caterpillar color can be highly variable even within a single field. 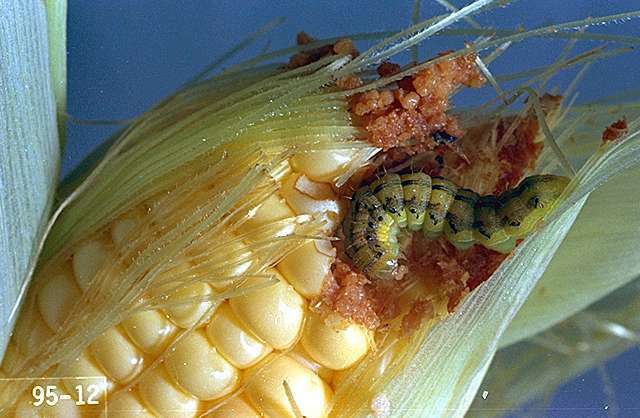 Corn earworm must be controlled before larvae bore into corn ear. chlorantraniliprole (Coragen) at 0.045 to 0.098 lb ai/a. PHI 14 days. REI 4 hr. Reapplication interval is a minimum of 7 days. Do not exceed 0.2 lb ai/a or 4 applications per season.